Wow...time sure flies, and as I write this blog post I had no idea that spring was so close! In only 13 days it will officially be SPRING! Still lots to do in preparation for the summer rush of tourists that flock to Hilton Head for their family beach portrait sessions. Spring is the perfect time to update your family portrait--you will beat the heat and crowds on the beach. Plus our portrait sessions include much more than just photography. Each of our custom portrait sessions follows up with an in-person design and order consultation at our Bluffton portrait studio location. This has become one of our favorite parts of the portrait session process. This is where we get to help you carry out your vision for how you’d like your portraits to live on in your family for generations. At the end of the consult, you will leave our studio knowing how your portraits will be displayed in your home. In my experience with our personal order consultations, I’ve found that families are MUCH more satisfied with their overall experience and the end result. And as a professional, I feel like we are delivering the best service and experience we possibly can, by ensuring you are completely taken care of when it comes to the preservation of your memories. To top it off, you are left with nothing else to do. Your artwork will be professionally finished, and if you are out of town, delivered to your door--all our wall portraits 16x20 and up include complimentary framing, they will be ready to display on your walls when they arrive. Design consultation and framing services are included with all portrait sessions. Our clients recieve our guidance on the very important decision on how to preserve their precious family portraits, not just handed a DVD to print of unfinished images...or stuff in a drawer. After all, you did take the time to commerate your family by hiring a professional portrait artist. You should expect to have finished wall art to display and share with your family to rembember this special time together. 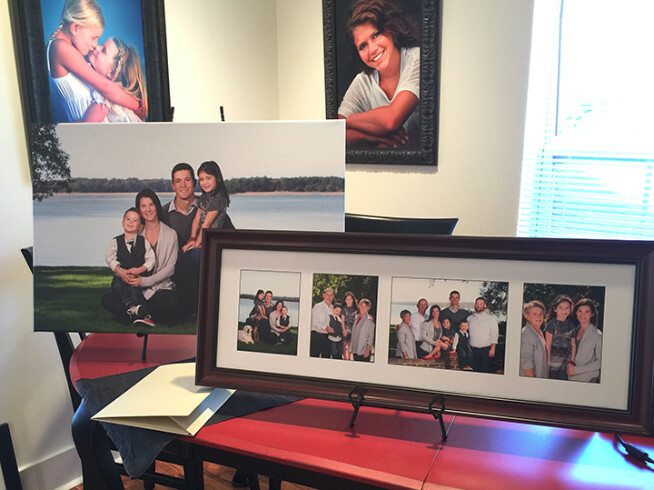 The Lopez family chose the image above as a finshed 20x30 display portrait gallery wrap. Displayed and ready for pick-up at our studio location. When clients come to pick up their portrait order I typically give them a hug as they leave the studio with their finished artwork. But it is always nice when that hug comes first from the client as it did when this order was picked up last week. So Happy we could deliver such a great experience for the Lopez family! They were wonderful to work with! 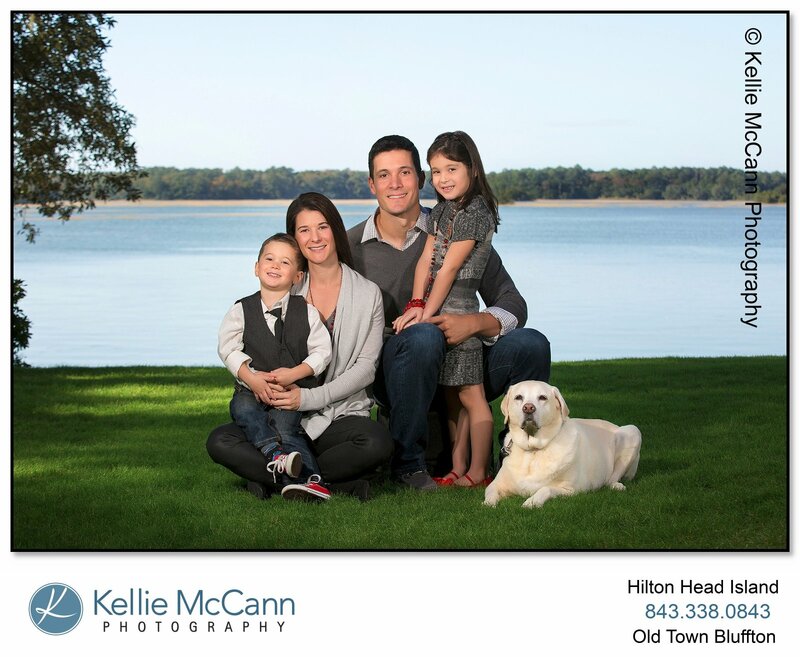 Bluffton Family photographer, Hilton Head Photographer, Kellie McCann specializes in Headshots, family portraits, high school senior portraits and children’s portraits.